How To Sell a Car With Damaged RC? With the rising new car values, the market is gradually inclining more and more towards used cars or second hand cars. In fact you will often find your financial advisor telling you the same. So the rampant demand of used cars in the market is a boon for a lot of people. It is helpful to the sellers and also the buyers who now can own good and comfortable cars at prices. 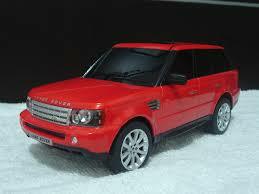 But it is not easy to sell a car and it becomes even more difficult when the RC is damaged. The very first question would be – WHAT IS AN RC? Registration certificate (RC) is the identity of your vehicle containing all the vital information related to your car such as the chassis number, make, model, colour, date of manufacture etc. If your RC has any misprints, defects that make the contents illegible, or the same is lost then it becomes difficult for you to seal a legal with pertaining to your car. So, until you get a duplicate RC made, you will not be able to legally sell and transfer your car’s ownership. Selling a car with a damaged RC is a two-step process. 1. Firstly, you need to procure the documents that are needed to sell a car. 2. Secondly, you need to collect a specific form (FORM 26) which is needed to get a new RC. · If the seller’s details on the RC contain factual inconsistency - if the seller’s details are misprinted on the RC at the time of the transaction, then one needs to submit an affidavit stating the correct details along with an ID proof. A fully filled Form 26 is required in this case. · If the car’s details are not printed correctly on the RC - If the car’s details are misprinted on an RC then, a copy of the original invoice of the car needs to be submitted along with other documents when one plans to sell the car. A duly filled Form 26 needs to be submitted along with other documents too. Now, in case of a lost RC, an FIR (first information report) needs to be files and then submit a copy of the FIR along with FORM 26. Two duly filled copies of FORM 26 are required to be submitted along with the other documents when you plan to sell a car with damaged RC.